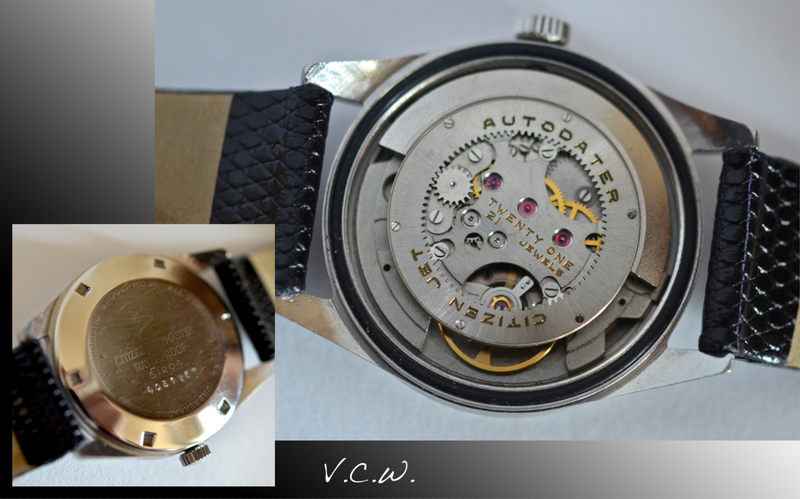 This entry was posted in automatic, Citizen date, hand winding, parashock, vintage Citizen and tagged 21 jewels, 21 jewels citizen, autodater citizen, autodater citizen ring rotor, citizen jet, citizen newmaster, jet, jet movement, newmaster 21 jewels, newmaster autodater, Newmaster automatic waterproof, ring rotor, ring rotor citizen, stainless steel, vintage citizen, vintage citizen newmaster. Bookmark the permalink. That rotor is quite unusual and interesting. I am not sure I understand how it is attached to the movement, however. Anyway, great find, it is in amazingly good condition. Thank you! Yes, the rotor is quite special. I have a jet auto-dater much like the one shown here. It needs some work, and I was wondering if you knew of anyone or any place that I might be able to find parts to repair it? I think I have come into posession of an identical watch as wha you are showing here. Dial, rotor movement and number (51204) on case back are the same. 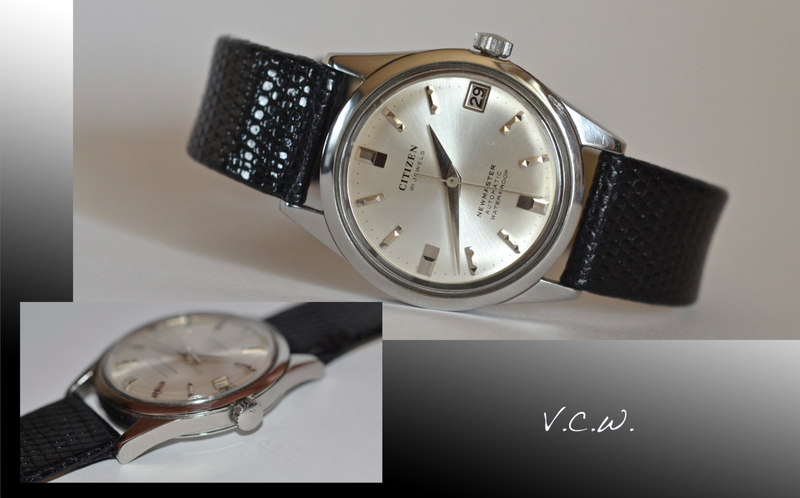 My watch is in dire need of a new crystal and I would greatly appreciate any hints on where to source this (to me) somewhat awkward design with its recess on the inside and accurate size allover to allow the bezel to fit snugly over etc.